* MON, JUL 29, 2019 – $50 late fee for all payments received after July 29, 2019. 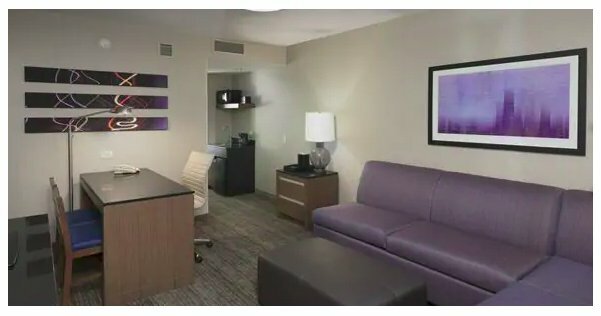 Hotel Room Exhibitors: Amazing low room rates in downtown Chicago. Only $159.00 + tax. Don’t miss this first-class Market experience. • This show is a hotel room and booth show. WCST Management will be assigning all booths and rooms. • You must make room reservation directly with the hotel using the links provided during registration. • There are a limited amount of booths available on a first-come basis. • There are NO adjoining Rooms at this Embassy Suites. 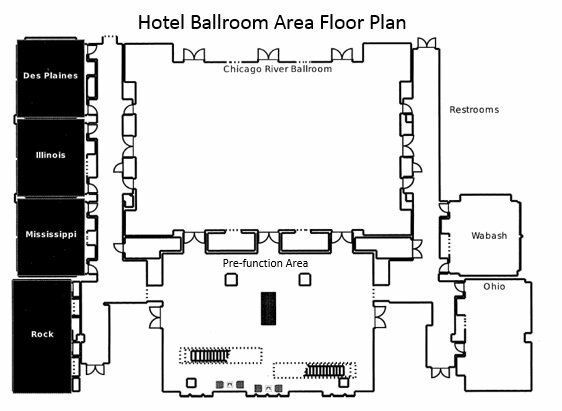 Exhibitors can display in the front of the suite and sleep in the back bedroom area. Early Exhibitor Fee (Before May 29, 2019): $200 – for hotel room exhibitors. Exhibit fee is included in the booth price. ($50 increase after Early Registration Deadline) Early Exhibitor Registration Deadline: May 29, 2019. Some furniture in the room may be used for display. Rooms will accommodate up to two 6’ tables. Available shelving is highly recommended to maximize space utilization. The WCST management will be assigning your room. Furniture in the room must be moved by the hotel. A service charge will be added to your bill if you move furniture. Don’t miss the opportunity to support and promote your Brands! We prefer that you send PDF’s of the AD. First two are complimentary. Additional directory listings are $5 each. 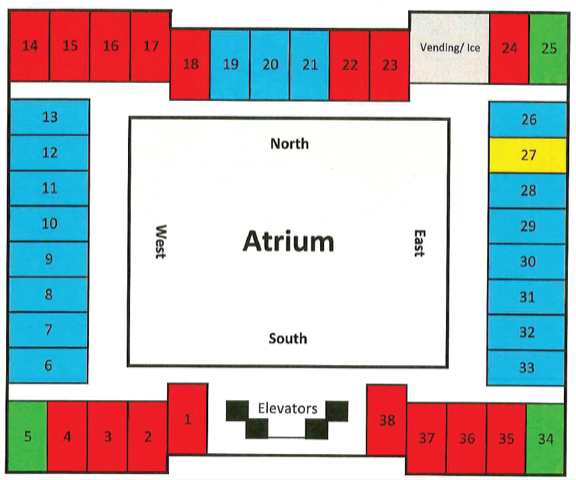 Please review the available booth sizes and locations on the floor plan layouts below. Booth inventory is limited and available on a first-come basis…..so register early! 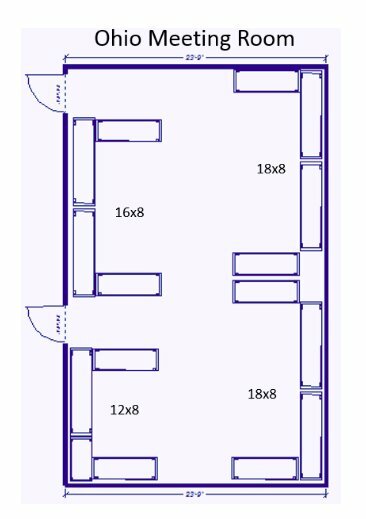 Booths will be outfitted with the tables and other amenities as describe with each booth on the registration page and shown in the floor plan diagram. Optional items are available as noted below. The show director reserves the right to change the booth configurations at any time. 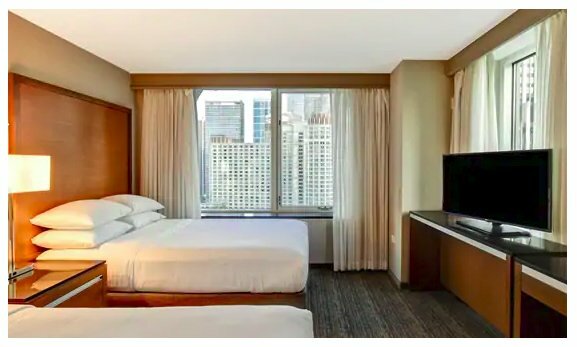 Exhibitors displaying in their rooms are required to place a hotel room reservation under their name via the link we will provide after you complete this registration. Tables will not be in the rooms unless they are ordered. 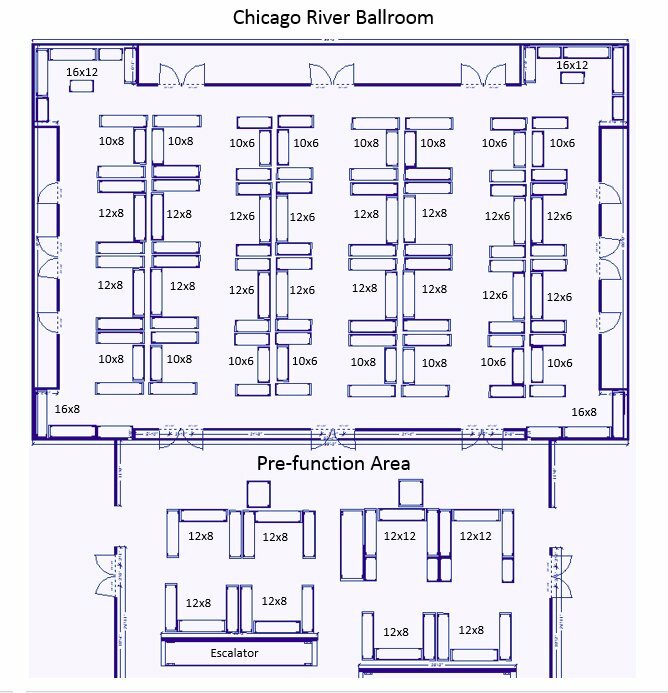 Exhibitors who will be displaying in their rooms are required to place a reservation under their name through the link provided to let the hotel know that they are with the Chicago Shoe Market to receive the special room rate. Tables will not be in the rooms unless they are ordered. Some furniture in the room may be used for display. Rooms will accommodate up to two 6’ tables. Available shelving is highly recommended to maximize space utilization. Once you have completed the booth or suite registration process, we will send you a link to reserve & pay for your overnight hotel stay(s). 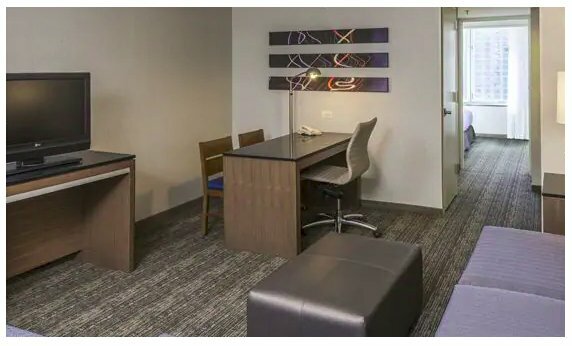 Using the link provided will automatically enable you to take advantage of our low negotiated rate of $159/night (plus taxes). Hotel Exhibitors must use the link provided to complete their registration and participate. Hotel Registration for the August 2019 Show Coming Soon! The CHICAGO SHOE MARKET hosts two footwear, accessory and apparel tradeshow markets in Chicago, IL. The Windy City Shoe Travelers, a nonprofit organization, provide an invaluable opportunity for retailers to check out the latest, must-have brands in a professional, efficient and enjoyable setting. It is in the heart of the city and offers an exceptional Market experience.